Dr Ganesh’s skills are applied as a consultant surgeon specialising in gastrointestinal, bariatric, advanced laparoscopic and endoscopic surgery at G&L Surgical Clinic at Mt Elizabeth Novena. Dr Ganesh Ramalingam founded G&L Surgical Clinic in 2016 with the aim to provide personalised, high-quality and comprehensive care to patients. 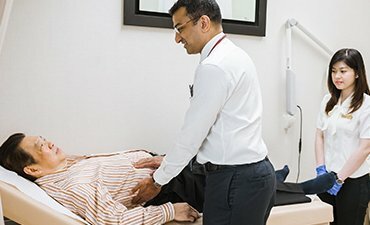 Dr Ganesh derives great satisfaction in helping patients prevent colorectal cancer by resorting to early screening and is determined to heighten the importance of a healthier lifestyle amongst his patients.